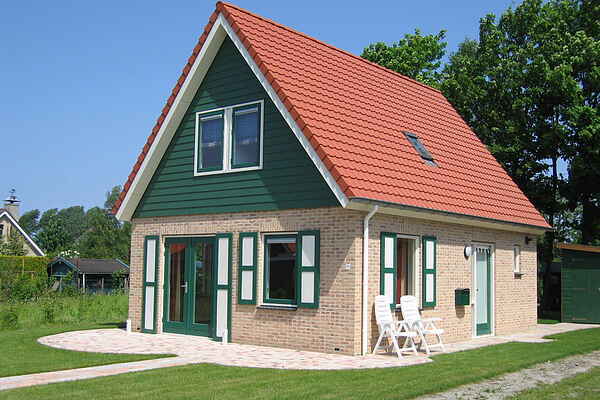 This holiday home is part of a small holiday park on the edge of the village Zonnemaire in the polders of Schouwen. The red roof, green gable and the green and white shutters give this holiday home a rustic appearance. The interior is neat and comfortable. The children can play all around the house while you enjoy the sunshine on the patio. In short, an ideal base for a family holiday. The holiday home is near Lake Grevelingen, the largest saltwater lake in Western Europe and very popular with water sport lovers, divers and people who love sport fishing. But, you can also go for stunning walks and bike rides. Would you rather go to the North Sea beach to feel the breeze, do some sunbathing, or to go for a beach walk? You won't have to go far, because the beach of Scharendijke is only 8 kilometres away. Do also get acquainted with the rich history of the city Zierikzee. Important information: To safeguard the quality of our houses, bachelor parties, big groups of young people and so on, are not allowed. The owner of this accommodation wishes to rent out his house to families only.